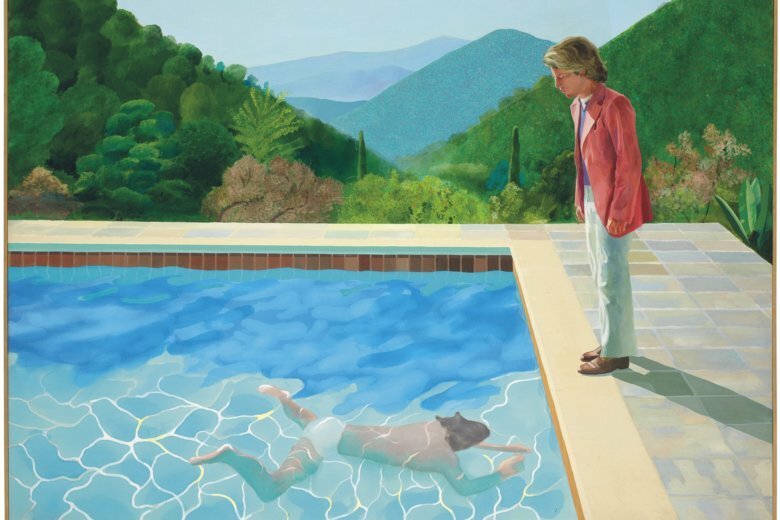 NEW YORK (AP) — One of David Hockney’s famous “pool paintings” is coming to auction and is expected to sell in the $80 million range, easily breaking the record for a work by a living artist. The British artist’s “Portrait of an Artist (Pool with Two Figures),” to be auctioned at Christie’s on Nov. 15, is considered one of his premier works. Christie’s has estimated the work at about $80 million, but says it expects it to sell for more. The 1972 painting by Hockney, now 81, is “the holy grail of his paintings, from both the historical and the market perspectives,” said Alex Rotter, co-chairman of post-war and contemporary art at Christie’s. He noted that it reflects both the European and the American perspectives of an artist who came to live in sunny California in the ’60s, and saw himself as living on both continents.